The Brinckerhoff Inn’s design marries historical accuracy with modern convenience. A glance at the eight-foot-high gilded mirror gracing the entry hall of The Brinckerhoff Inn Bed & Breakfast makes it easy to picture the Revolutionary War heroes who stood in exactly the same spot. 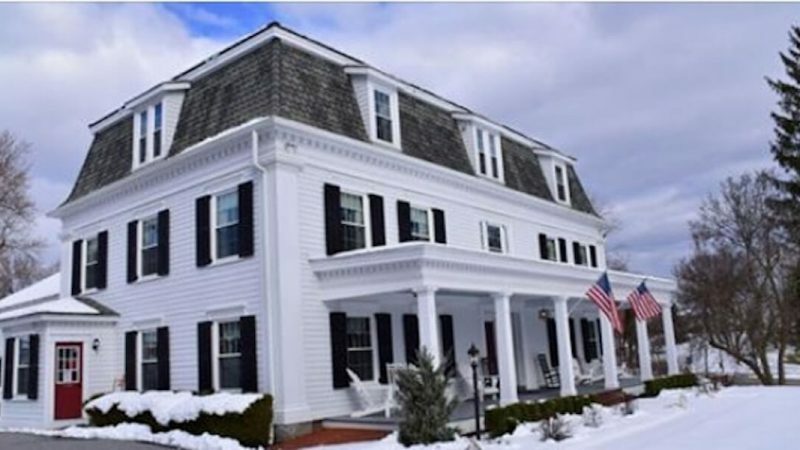 George Washington straightened his uniform in front of that very mirror, and on more than one occasion, said Robert Chiulli, the developer who meticulously renovated the 300-year-old Fishkill home, saving the historical building and transforming it into a luxurious inn. During the Revolutionary War, the inn was the home of Colonel Derrick Brinckerhoff, who served in the Second Regiment of the Dutchess County Militia. Brinckerhoff and his family also supported the cause by offering lodgings to revolutionaries such as Alexander Hamilton, General George Clinton, John Adams, and Baron Friedrich Von Steuben. Yet, despite its historical significance, the 10,000-square foot home might have been lost to the ravages of time, had it not been for Chiulli. Renovating the mansion was a labor of love that took almost four years. The 300-year-old house required major renovations. The home’s foundation had to be replaced, beams installed and replaced, the walls plastered, and a third floor storage space converted into a bevy of spacious, climate-controlled bedrooms with accompanying bathrooms. Before the renovation the house had only one and a half bathrooms. Now there are 11 pristine, white-tiled bathrooms, mostly with huge soaking tubs, to accompany the nine sunny bedrooms. As a result of Chiulli’s thoughtful renovation, the inn now marries historical accuracy with modern convenience. General Washington and the Marquis might feel right at home in the inn’s parlor, which features a fireplace, beautifully reproduced 18th century wallpaper, and stately antique furniture, but they probably never imagined the living room’s large flat-screen HDTV or the Wi-Fi available in all the bedrooms. Modern life can seem to fade away while relaxing on the screened-in covered back porch or while exploring the inn’s five acres of land, complete with a greenhouse, and multiple barns, but its comforts are close at hand. The cheery dining room seats up to 25 guests, where an ever-evolving breakfast is served that might feature pancakes with berries and maple syrup, tomatoes stuffed with potatoes and eggs, Eggs Benedict topped with tender asparagus, sausages and bacon, plus cooked apples filled with sweet oatmeal and lanced with a cinnamon stick. Washington slept at many places in the Hudson Valley, but he visited the Brinckerhoff family on numerous occasions, both because he valued their friendship and the inn’s strategic location. The inn’s geographical coordinates were critical for Revolutionary War battle strategies but today provides a good starting point for exploring Hudson Valley historical sites, whether plans include driving to Hyde Park, Van Cortlandt Manor or West Point. Fortunately, today, all of these destinations require a shorter — and less dangerous — journey than in Washington’s day. For more information or to make a reservation, go to www.brinckerhoffinn.com or call 845.765.2535.